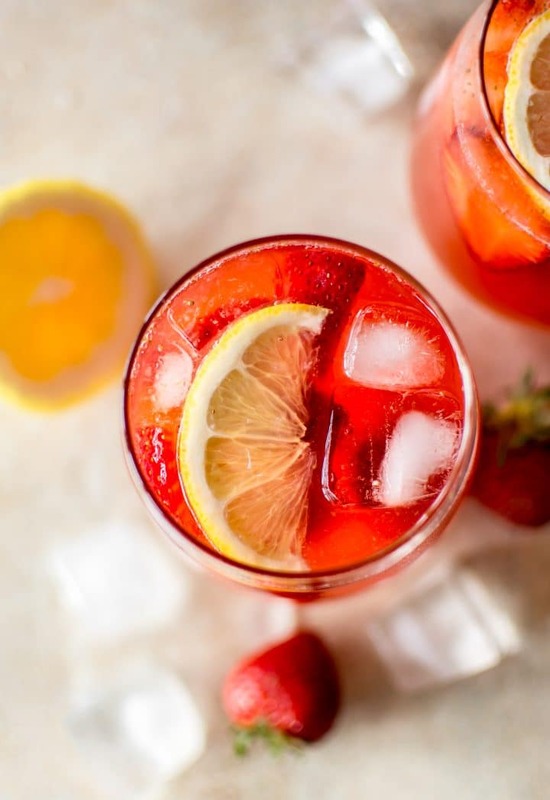 This strawberry lemonade recipe is refreshing, easy to make, and a great way to use up summer strawberries. 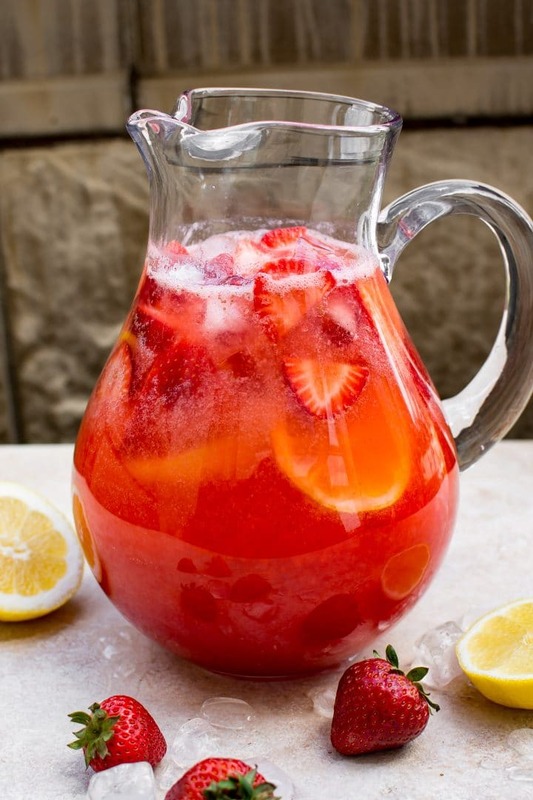 It’s the perfect crowd-pleasing pitcher for summer parties, the Fourth of July, and BBQs. I think I last made lemonade in 1996 or thereabouts. That’s ok, though. I love a good strawberry lemonade even if I only drink it at home every 20 years or so. Ok, so getting photos for this recipe was a huge pain in the a**. 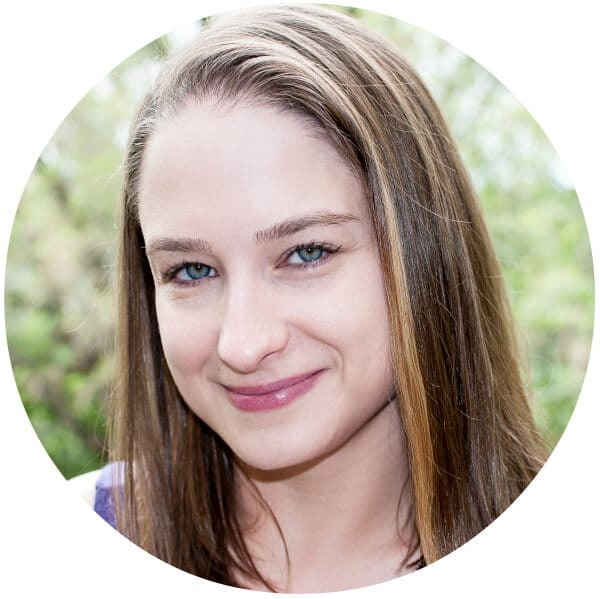 I ended up moving my shooting setup to like 3 different places, including the great outdoors. Glad it’s not winter. I just could not for the life of me figure out how to not have a ton of reflections in that stupid pitcher!! I have a photography book somewhere that I know explains how to avoid reflections, but I skipped that chapter forgot. And when you’re running around like a chicken with its head cut off hoping the ice won’t melt all over the place, consulting a photography book is not something one does, even if that probably would have been smart. Even though the photos were a pain to get, this strawberry lemonade recipe itself is fuss-free. Making the strawberry lemonade mix is simple. Halve the strawberries and add them to a blender, along with the sugar and enough water so they blend easily. Juice your lemons into a bowl. Strain the strawberry mixture and lemon juice using a sieve. I like to strain it into a large bowl and then add it to a pitcher. Top up with water, stir, chill, and enjoy. Add some strawberry and lemon slices if you wish. Pro tip: I like to use superfine sugar (that’s also my nickname btw) so it dissolves faster. Normal granulated sugar will work fine too, just make sure it dissolves before you start straining it. 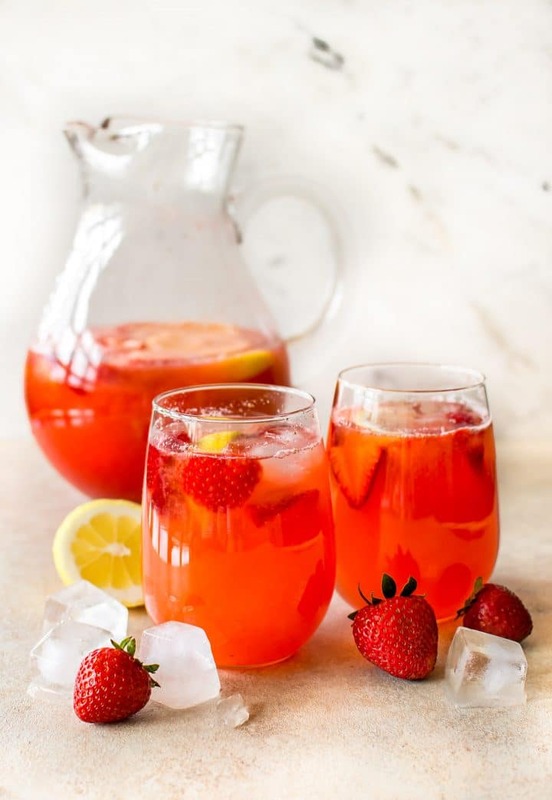 Will you give this easy strawberry lemonade recipe a try? Summer in a glass! Talk to me in the comments below. This strawberry lemonade recipe is refreshing, easy to make, and a great way to use up summer strawberries. It's the perfect crowd-pleasing pitcher for summer parties, the Fourth of July, and BBQs. 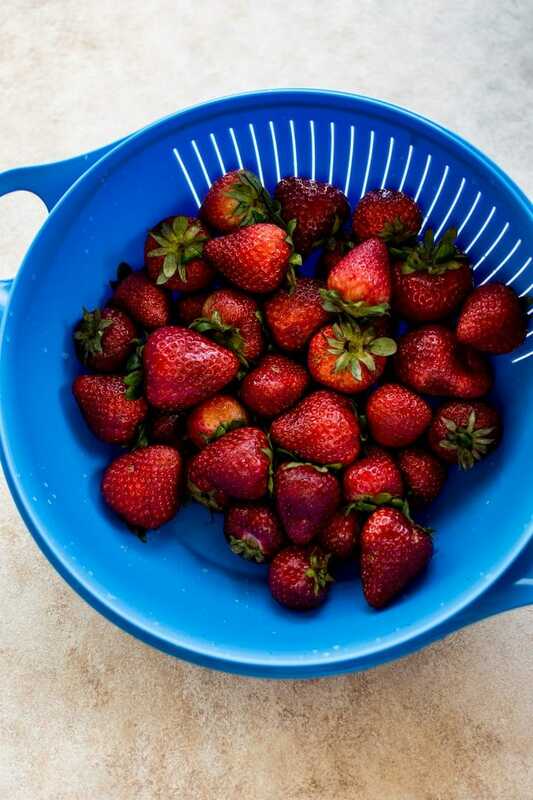 Prep your strawberries. Add them to a blender, along with the sugar and enough water so it blends easily. Blend until smooth. Using a sieve, strain the strawberry juice and lemon juice. To do this, I put the sieve over a bowl and use a spoon to move it along faster. I then transfer the pulp-free strawberry/lemon juice mix to a pitcher. Top up the pitcher with water. I suggest tasting it as you add water so it doesn't get too watery. Chill or serve right away. If desired, add ice and fruit pieces just prior to serving. Add vodka to make this drink alcoholic, or replace the water entirely with sparkling wine. Love refreshing summer drinks? Try my elderflower mocktail.